Day trips and excursions to Morocco - Visit Tangier, Asilah, Chefchaouen, Tetouan from Spain. The one day excurcions to morocco from Tarifa are the best option if you want to experience a small taste of this wonderful country and indulge in a unique experience. There you can discover a totally different way of life, arabic customs and hospitality that the inhabitants pride themselves on and incredible landscapes well worth visiting..
Travel to Morocco with our wide range of day trips . A day to mingle amongst the exotic locals of North Africa with the vestiges still alive of Spanish, French, English and German. An opportunity to get a true feeling for the Morocco of yesterday and the Morocco of today. With our day trips to Morocco, you will discover cities like , Tánger, the blue town of Chefchaouen, the mythical Tetuán y Asilah, the pearl of the Atlantic. upon request you can even add two places to your day trip. Do not forget to check the group offers, often parties of four or more, can pay the same as large groups, but the service is exclusive for you. If you feel that one day is not enough you can add more trips from the rest of our incredible offers of Moroccon travel. Choose one of these day excursions in Morocco and enjoy this fascinating country whether its your first time or your hundreth! 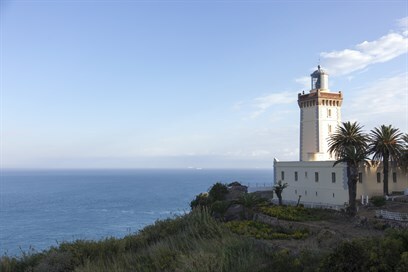 Excursions to Morocco for a day include fast ferry travel from Tarifa, transfers, a guide and lunch.